Mix in the melted butter and water with the Bisquick. It should all just clump together into a perfect ball of dough. 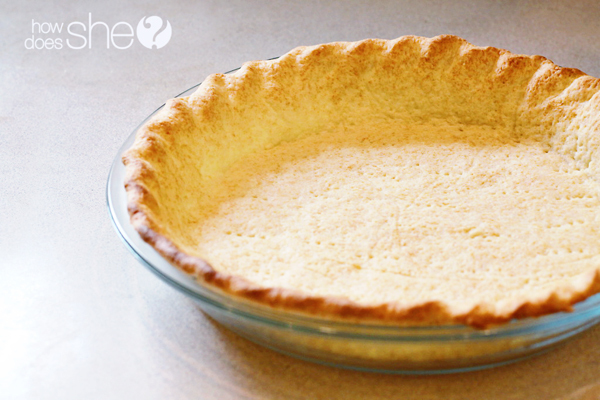 Seriously the easiest pie crust you will ever make! 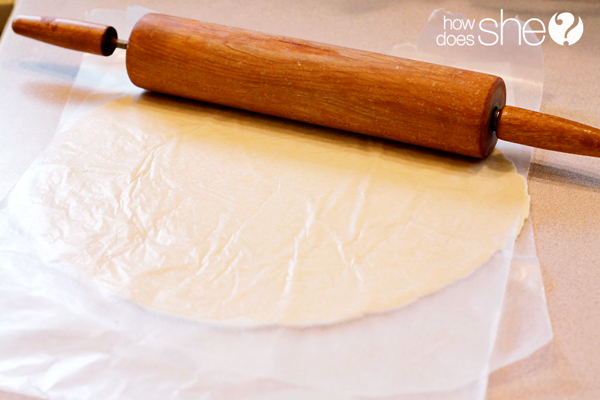 Tear two pieces of waxed paper and place the ball of dough between the two sheets. 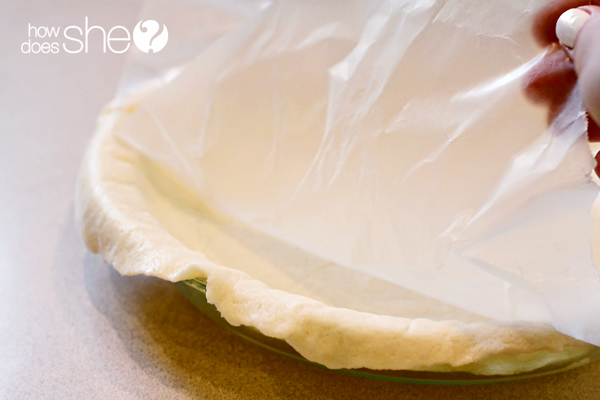 Once you have the right size remove the bottom piece of waxed paper and gently place it in the pie dish, making sure it is even on all sides. 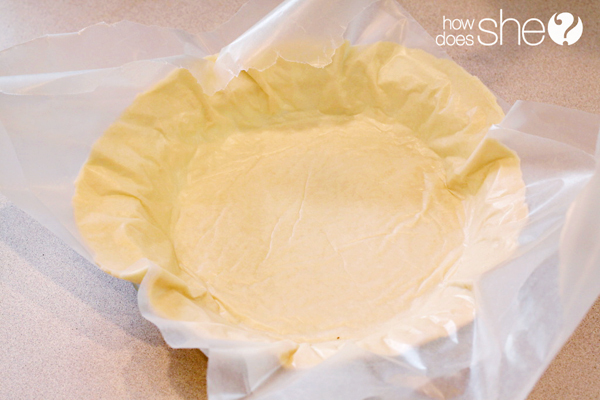 Peal the top piece of waxed paper off the dough, and gently lift and pat the dough down into the bottom of the pie dish. Fold the extra dough hanging over the edge under, so it is just sitting on the edge of the dish. This will give a little bit of a thicker crust to create a design around the top. 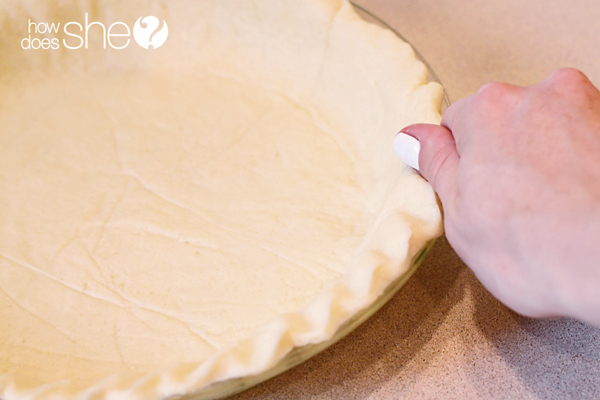 Create a design around the top of the pie crust. I simply pinched the dough with my thumb and finger at an angle. 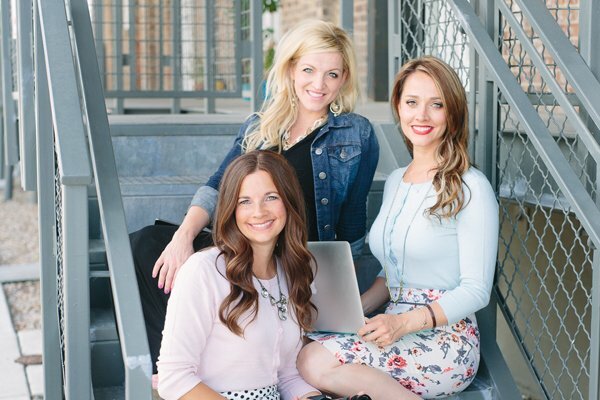 You can use a fork or any other design you like! Poke the bottom and sides with a fork before putting it in the oven. Place it in the oven at 400 degrees for 10 minutes. 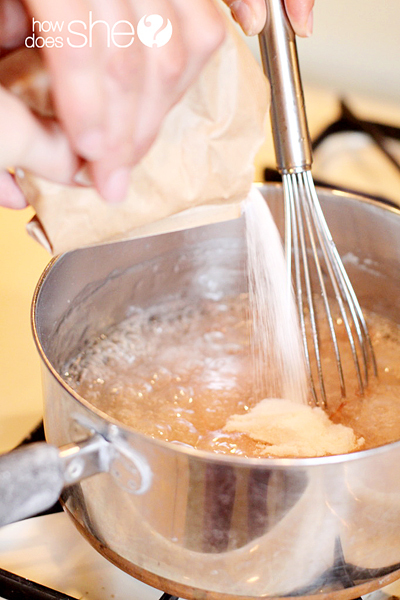 Mix the water, sugar and corn starch together in a pan. Bring the pot to a boil and let the ingredients boil for 2 minutes, stirring constantly while it thickens. Pour in the jello powder and and turn off the heat while you stir it in. Once it is mixed in set the pan aside, or in the fridge to cool down. If I am in a hurry I will even put it in the freezer and watch it carefully. 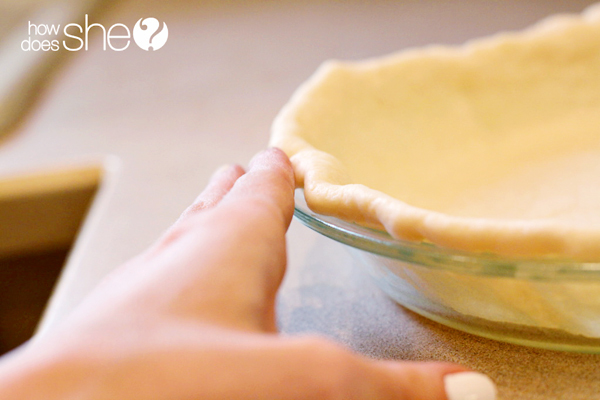 The pie crust should be lightly golden brown when it is finished. Set it aside to cool as well. 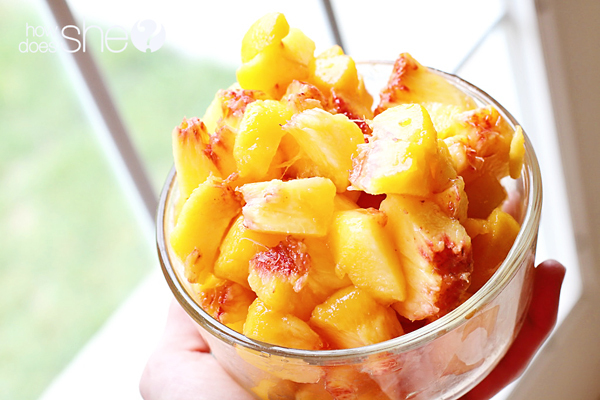 Peal and dice 2 – 2 1/2 cups of peaches. I like tons of peaches… so I always do 2 1/2 cups. It ends up being somewhere between 2 and 4 peaches, depending on their size. When the jello mixture has cooled to around room temperature mix in the fresh peaches. Pour the pie filling into the crush and spread the peaches around so they are even throughout the pie. Then place the pie in the fridge to let it set up. Again, if I am in a hurry I just put it in the freezer until it is tacky and set up, just watch it carefully so it doesn’t freeze! 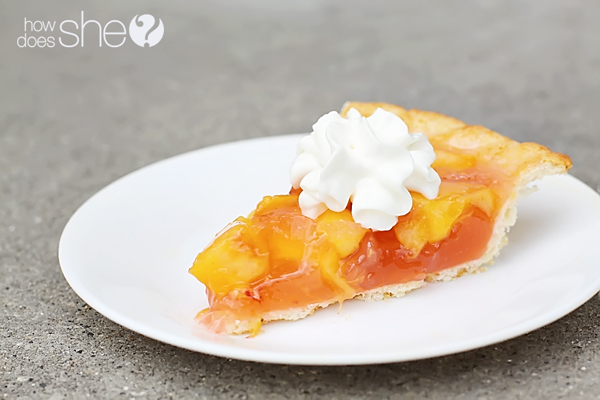 Add a dollop of whipped cream to your slice of fresh peach pie and devour. Keep the leftovers stored in the fridge with a cover (paper plate turned upside down works great 🙂 ) This pie always tastes best on the first day, but it will keep for 3-4 days in the fridge! 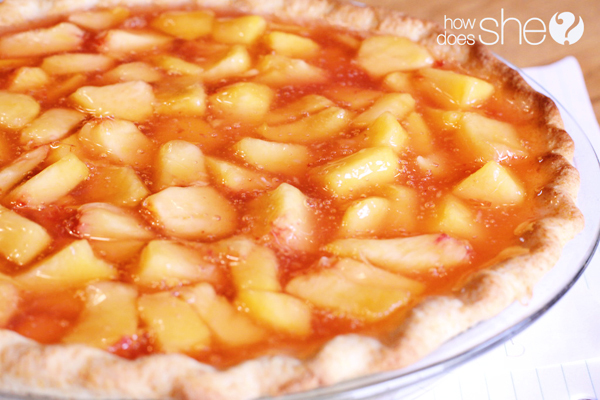 Now for that box of peaches sitting in my kitchen… I think I’m gonna go make me some more pie! 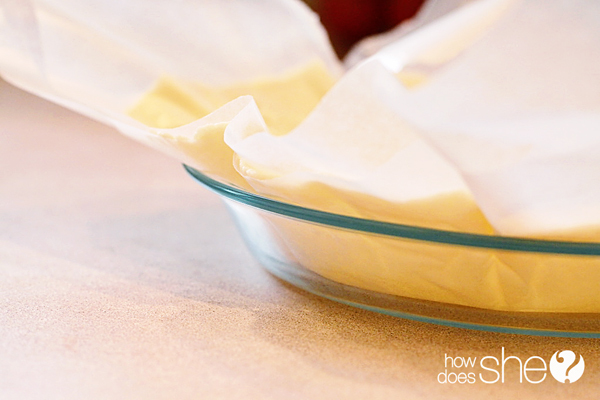 For the pie filling: Mix the water, sugar and corn starch together in a pan. 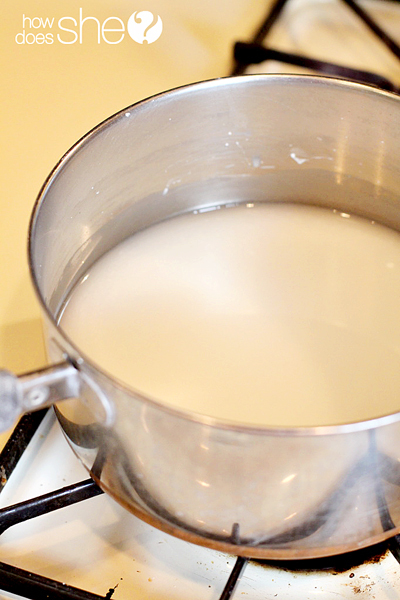 Bring the pot to a boil and let the ingredients boil for 2 minutes, stirring constantly while it thickens. Peel and dice 2 – 2 1/2 cups of peaches. 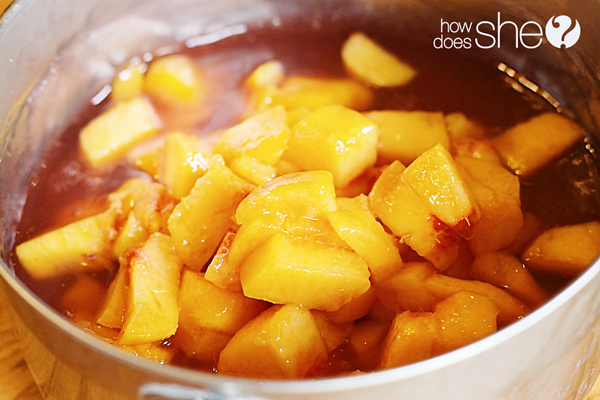 I like tons of peaches… so I always do 2 1/2 cups. It ends up being somewhere between 2 and 4 peaches, depending on their size. 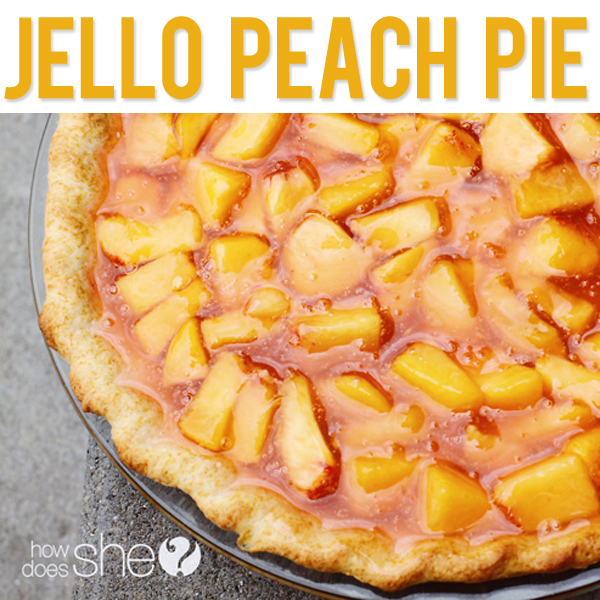 dd a dollop of whipped cream to your slice of fresh peach pie and devour. Keep the leftovers stored in the fridge with a cover (paper plate turned upside down works great 🙂 ) This pie always tastes best on the first day, but it will keep for 3-4 days in the fridge! 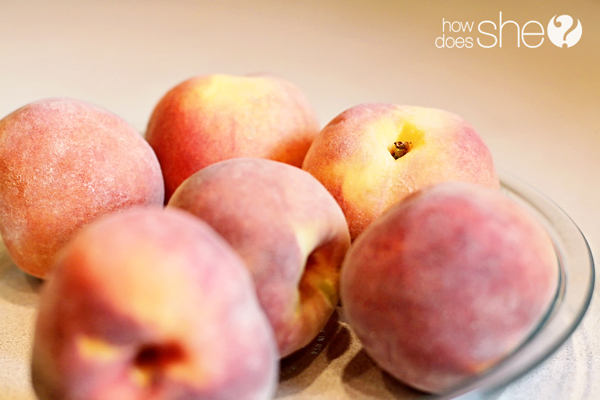 Check out Missy’s post for more ideas on using peaches! « Make Your Own Fortune Cookies! Oh yum. I know your recipes are all RIDICULOUSLY good, so this is definitely on my shopping list this week. –Pretty sure it will be making an appearance at Thanksgiving too. I am in for a TREAT!!! Your recipes are always SO GOOD!! Thanks! MMMMM….peaches are my FAVORITE! Can’t wait to try this! Just wanted to comment on your peach pie recipe. My grandma and mom have always made their fresh fruit pies with this same recipe so that’s how I always make mine. Wanna knock your socks off? Try your recipe with fresh strawberries and strawberry jello or my all time favorite, fresh raspberries and raspberry jello. OH YUUUMMMMMM! 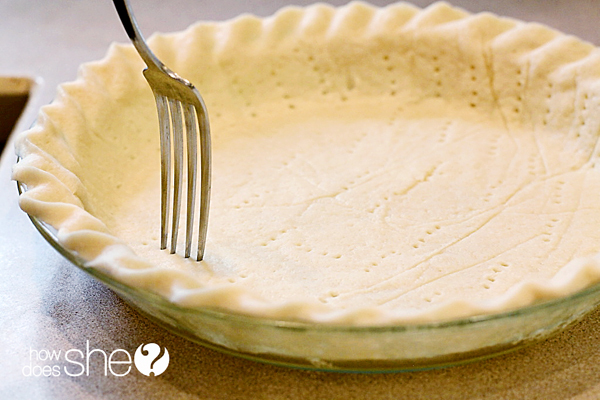 You can use any type of pie crust . I’ve used ready made crusts . Thanks for posting this! It’s near identical to my grandmothers peach pie. Unfortunately, after the ingredients, her directions are.. “Cool. Add peaches.” She always sliced her peaches, I think I will do that as well.. But I’m following your recipe! My mom wants peach pie for her birthday. Thanks again!